Proven effective in clinical research and used in orthodontic practices throughout the world, Invisalign® can give you the beautiful, straight teeth you've always wanted in a safe and reliable way. It works through a series of invisible, removable, and comfortable aligners that will be virtually invisible to colleagues, friends and family. As Invisalign uses a CAD/ CAM system to map every stage of your treatment, they are able to put the knowledge gained from their 1.2 million previous cases to good use by advising us on the best treatment plans in any given situation. Proven effective in clinical research and is used in orthodontic practices throughout the world, Invisalign clear braces can give you the beautiful straight teeth you've always wanted in a safe and proven way. 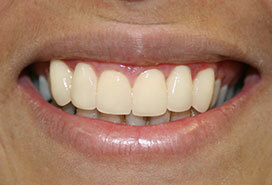 It works through a series of invisible, removable, and comfortable aligners that no one can tell you're wearing. Because Invisalign clear braces use a computer database every step of the way, they are able to put their knowledge of their 1.2 million previous cases to good use by advising us of the best treatment plans in any given situation. 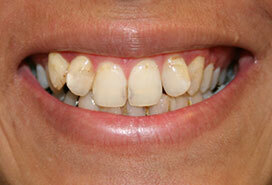 A stark difference to the traditional teeth braces.